Former PA minister says "Jewish extremists" are planning to fly a drone packed with explosives into the Al-Aqsa Mosque. Mahmoud al-Habash, formerly the Palestinian Authority (PA) Minister of Religious Affairs and now a consultant to PA Chairman Mahmoud Abbas, claimed Thursday that Israel is planning to blow up the Al-Aqsa Mosque in Jerusalem. Habash cited as proof of his accusations a tiny aircraft equipped with a camera that flew over the mosque. The plot to bomb Al-Aqsa, he claimed, is being planned by “extremist Jewish organizations” and may be carried out by launching a drone with a large amount of explosives or a small plane being flown by a Jewish suicide bomber. Habash called on the international community and the Arab and Muslim world to immediately intervene to save the mosque from the impending danger and to force the “Israeli occupation” to stop its “crimes” against the holy places to Islam in “Palestine”. In addition, he called on Arabs and Muslims all over the world come to Jerusalem to protect it from the "occupation" which, claimed Habash, seeks to Judaize the city. The comments should not come as a surprise, as the PA consistently baselessly accuses Israel of plotting to destroy the Al-Aqsa Mosque. The most common libel used by PA officials is that Israel wants to demolish the mosque in order to build a Holy Temple in its place. 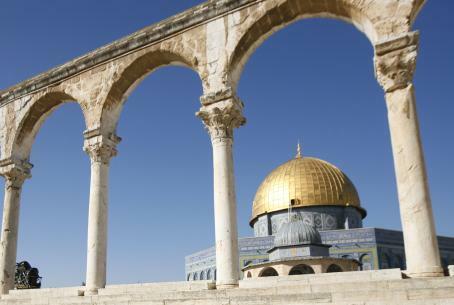 PA officials have also claimed that Israel is planning to engineer an earthquake to destroy the mosque. They have also accused Israel of using chemicals to erode the foundations of the mosque so that it will collapse.